Hey! Do you have a large empty space on your wall that you want to fill up with some Christmas cheer? Do you want it to be easy? Do you want it to be fast? Do you want it to cost almost nothing? Do you also want it to be not too too tacky? 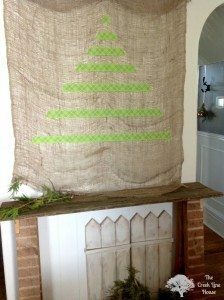 I did mine on top of some burlap that I already had up and I hot glued it to the wall through the holes in the burlap. That’s just because my painted panelling walls are eventually going to be coming down so I just go after them with the glue gun and reckless abandon all the time. 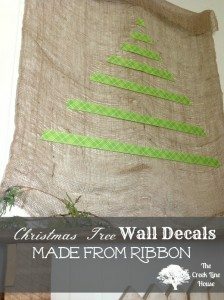 I’ve said it before and I’ll say it again: You can attach fabric (or ribbon) to your walls using just spray starch and your iron. Really! Try it! And it peels right off! I picked up a roll of this wide plaid ribbon on clearance for about $2 and cut a few pieces in gradually increasing lengths. I put them out on the floor and stopped when it looked like a Christmas tree. Stick it on the wall and call your large-scale Christmas cheer done! 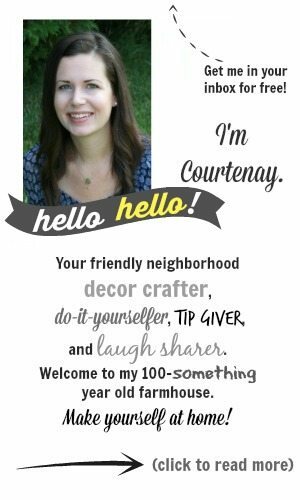 Awesome idea Courtenay! I love it! So simple but such a big time impact! Pinning this to try! What a simple idea that packs a big Christmas punch! And I’m going to have to try that iron/spray starch trick! Love this! Great alternative to a traditional tree too! Sweet!!! I have to do the decorations for my company’s Xmas party and I’m going to do something similar. Great idea! What a wonderful idea! I think I may have to try this this year. New follower. New admirer of your creativity. Great idea! Fun and festive! Very fun idea, I truly need to try the starch and iron trick! Fun idea! 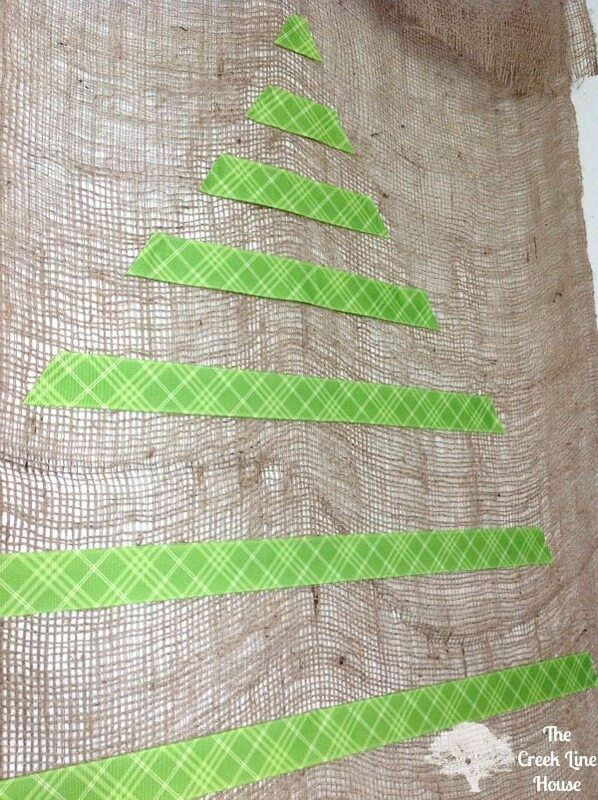 I made Christmas cards like this once…but love it on the wall!